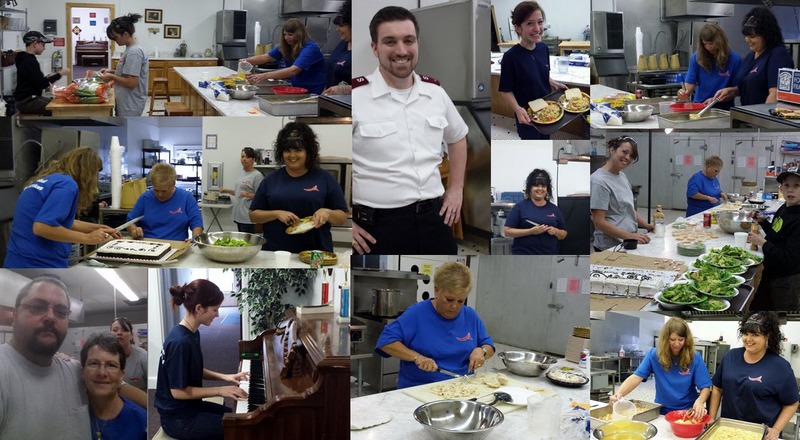 As part of the Humanitarian Support Foundation VA continued commitment to partner with the Salvation Army Community lunch program Humanitarian Support Foundation VA helped to prepare lunch on July 8, 2015 for approximately 40 guests. The Salvation Army hosts these lunches every Monday, Wednesday and Friday of each week and invites those who may otherwise go without a food to come in and get something to eat. Employees helped to make a meal of chicken and rice casserole as well as to serve this food to those who attended and cleaned the facility once lunch had been served to all of the guests. The Humanitarian Support Foundation VA office has committed to this event each month to help those in need in our community. 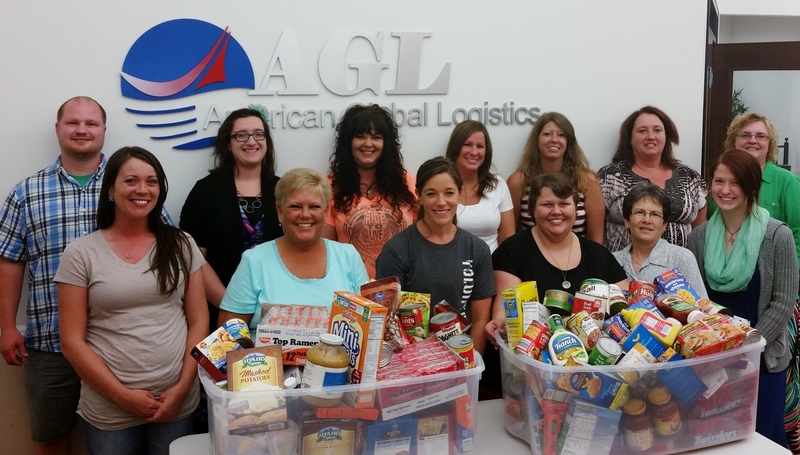 Humanitarian Support Foundation VA helped kick start the Fuel for Families food drive for the United Way of Henry County and Martinsville on July 1, 2015. The United Way kicks off this event at the Martinsville Speedway each year just in time for the local Fourth of July Celebration to help keep local food banks in stock of needed items. Those attending the fireworks celebration are encouraged to bring a nonperishable food item to help feed our community. The food donated impacts multiple organizations including Grace Network and the Salvation Army food pantries. Each year during the summer months the food pantries often experience a hard time keeping their shelves stocked and the need to help families become increasingly important during the time that school is out.Humanitarian Support Foundation VA collected hundreds of items to help impact our local community and those in need and to help the United Way in their mission to help ensure food banks are able to help everyone in need. Humanitarian Support Foundation VA looks forward to helping with this outstanding cause in the future. On June 25, 2015 the Humanitarian Support Foundation VA office partnered with the Danville Regional Medical Center to host the first ever Humanitarian Support Foundation blood drive. 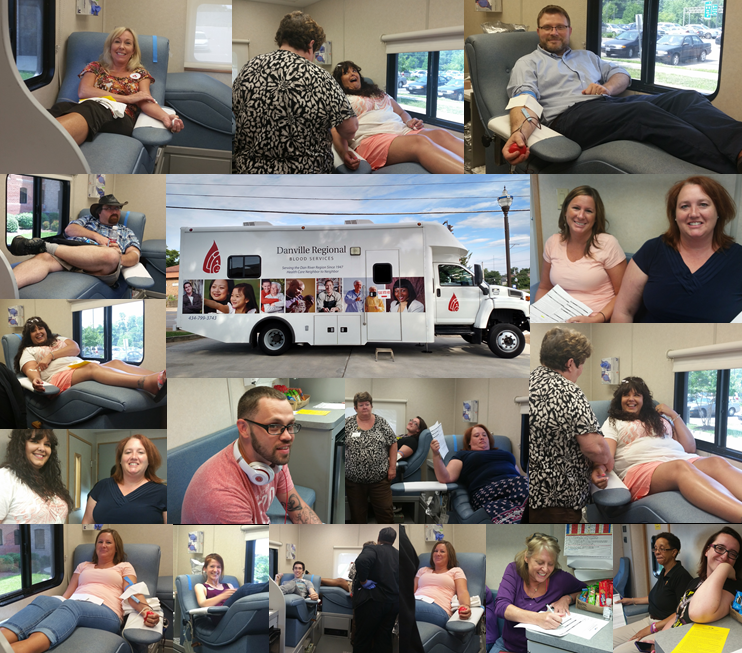 Employees helped to setup appointments as well as also donating blood during the event. In total over 20 pints of blood were donated to help our local hospital and community. With each pint collected it is estimated that up to 3 lives may be saved. On June 26, 2015 the Humanitarian Support Foundation VA office participated in the National Day of Reading with the United Way of Henry County and Martinsville. Employees went to local schools, community centers, and day care locations to read to kids in the area. The event is held annually to help to teach kids the value of reading and the importance of books. Each child is given a book to take home of their very own at the end of the event. Humanitarian Support Foundation VA is committed to help children in our community and this is the second year Humanitarian Support Foundation has participated in this national event.